Welcome to Sturm Reporting Services, a full-service court reporting and litigation support firm serving lawyers and law firms throughout the St. Louis metropolitan area and southern Illinois. We provide our clients with a full range of court reporting services to meet their needs, including interactive realtime text, realtime rough drafts, expedited delivery, electronic transcripts and digital videography. Our topnotch reporting skills and utilization of the latest advances in technology result in transcripts of the greatest accuracy, exceptionally speedy delivery, and outstanding interactive realtime. Sturm Reporting Services continues to build its reputation and client base through an unwavering dedication to quality, personalized service. With some court reporting agencies, you never know who is going to show up at your deposition, but with Sturm Reporting, you know that your reporting needs are being handled by a licensed professional with more than thirty years of experience working on cases of every size across the spectrum of civil litigation. Firm founder Jo Ann Sturm has extensive experience with highly technical cases in the medical arena and patent litigation field, so you can trust that whatever the nature of your case, the proceedings will be reported accurately and unobtrusively. At Sturm Reporting Services, we are here for you and are available anytime to meet your needs. We are located just minutes from the business district of Clayton and downtown St. Louis, and are close to Washington University, St. Louis University, Barnes Jewish Hospital and Children’s Hospital. Give us a call at (314) 780-2816 or contact us online to learn more about our services. 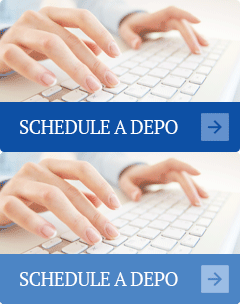 You can also Schedule a Depo using our quick and convenient online contact form.